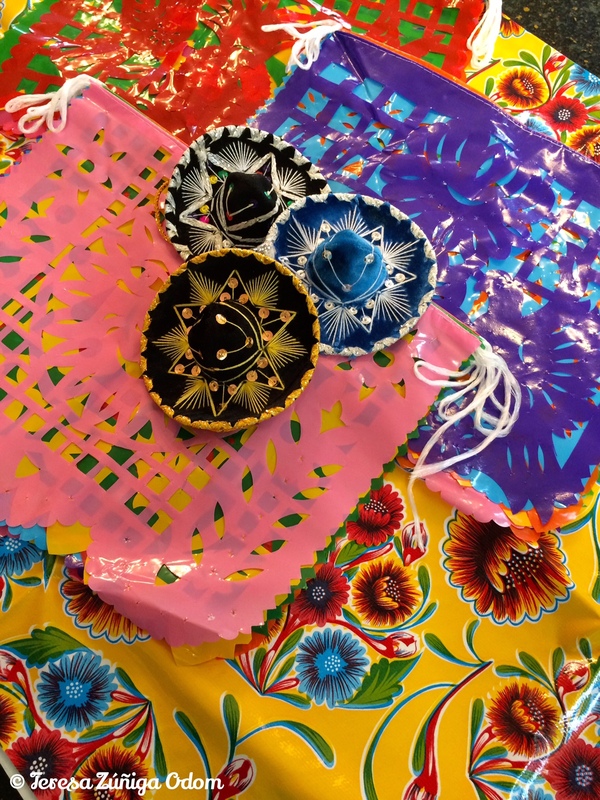 Yellow bloom oilcloth vinyl tablecloth, papel picado and Mariachi sombreros! February is my birthday month and more than anything I love getting together with family and friends to celebrate another year of life. Usually my husband makes a wonderful meal and we gather around our dining room table and share stories and so much laughter, followed by Edgars cupcakes. This year, since Eddie wasn’t feeling well, we went out to dinner but we came back to the house for those cupcakes and birthday cards! At this stage in my life, while it’s nice to receive birthday gifts, it’s not something I expect. My sweet mother has gift giving in her DNA. I always tell her not to buy me anything but she can’t seem to NOT bring gifts on special occasions. This year though, she listened. She didn’t buy me anything. Instead, she went through some of her things at home and wrapped them up for me. This meant so much more to me because these were things she bought for herself several years ago when we were in New Mexico for a family reunion. 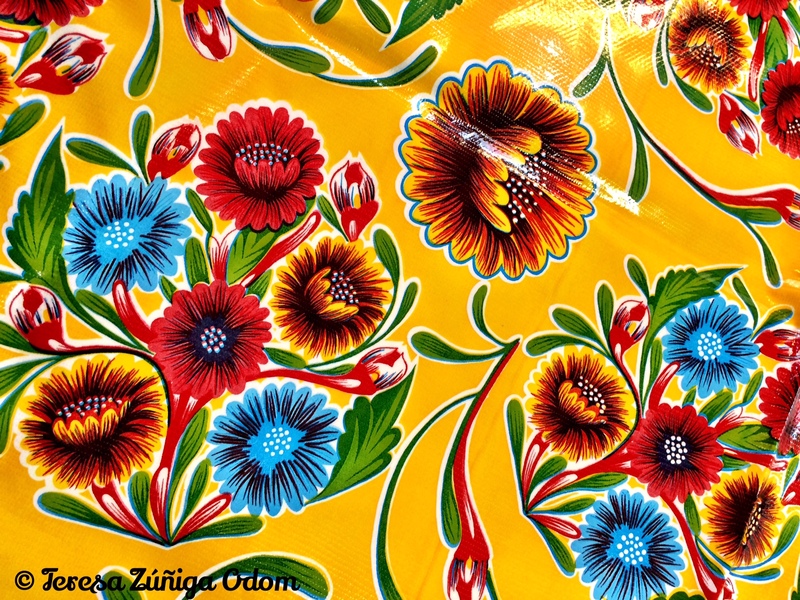 Yellow bloom oilcloth vinyl tablecloth my mother bought in New Mexico several years ago. The first item was a Yellow Bloom pattern oilcloth vinyl tablecloth. I remember when she bought this. I was with her and I almost bought one for myself. She had seen one of these tablecloths at a family member’s house and had to have it! This pattern is so bright and cheery and now that I have my new kitchen farmhouse table, it will look great set with some Fiesta dishes and margarita glasses. My goldenrod colored kitchen walls will be a nice backdrop too! 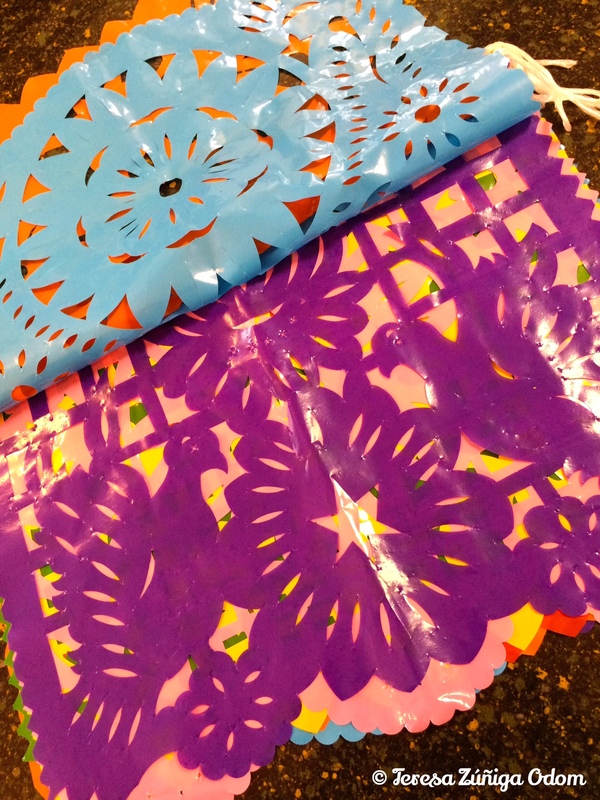 Plastic papel picado…good for outdoor use! 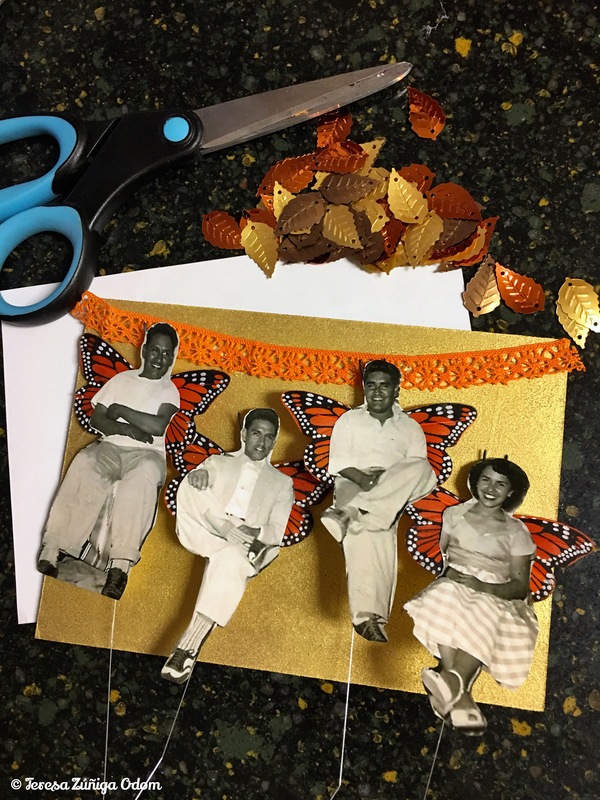 The next items were three sets of very large strings of papel picado. Mom said to me when I pulled these out of the gift bag…”I figured you would get more use out of these than I would. 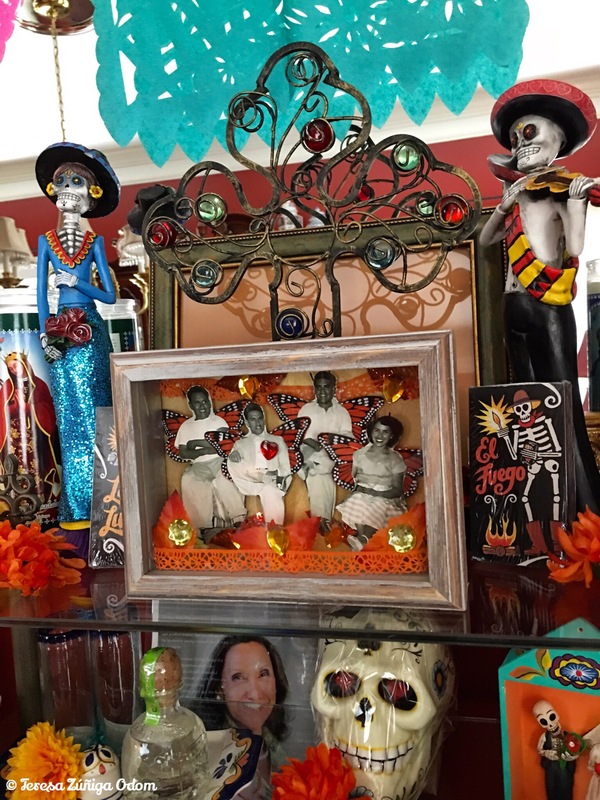 ” I told her these will be great during Day of the Dead this year! 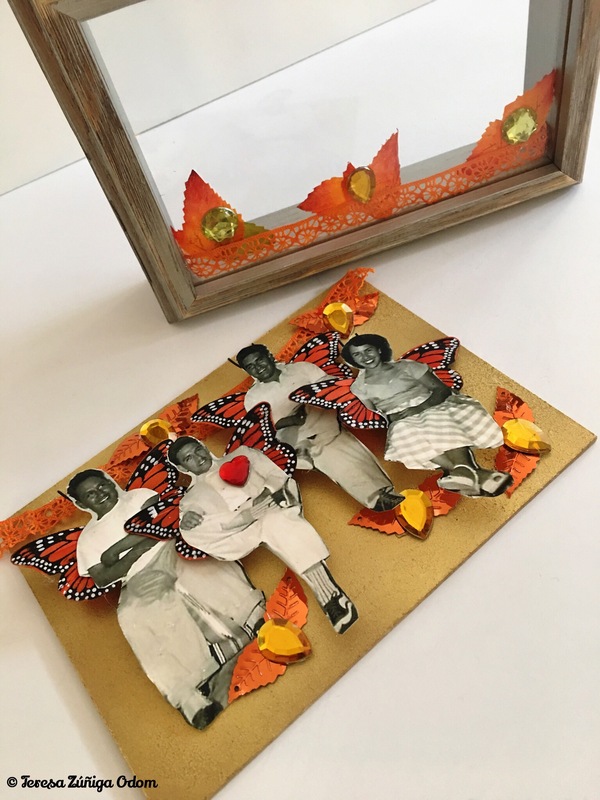 Papel picado is considered a Mexican Folk Art and is seen in many Mexican restaurants and during many Mexican celebrations. It’s so colorful and I really love using it to decorate. One of my cousins in New Mexico has it draped from the ceiling of her kitchen and it’s so unique and beautiful! I’ve considered doing that in my own kitchen. 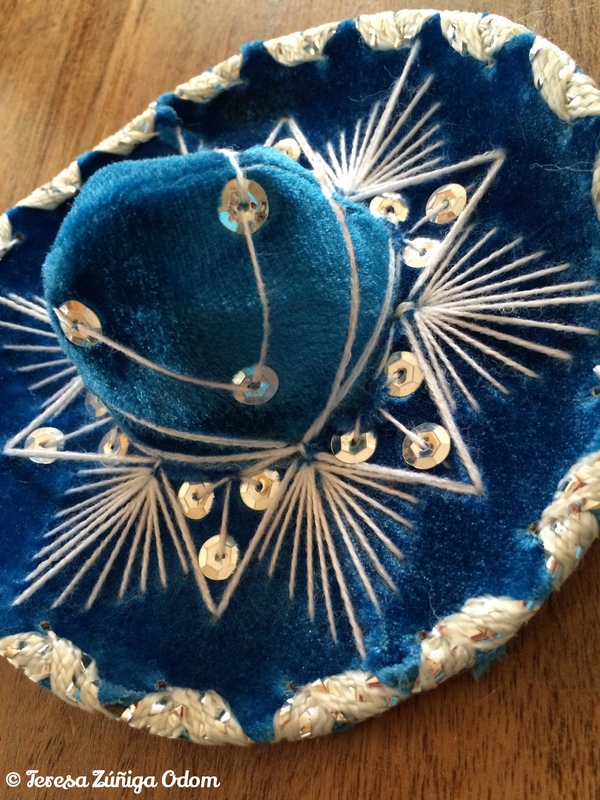 Turquoise miniature Mariachi sombrero – one of three my mother gave me for my birthday this year! Finally, mom gave me three miniature Mariachi sombreros. Mariachi sombreros are so beautiful and I remember wanting to bring one back for my dad when I visited Mexico as a senior in high school. Unfortunately, I didn’t have enough money to buy one so instead, I bought him a miniature one similar to these. The day my mom bought these, I also picked up a few to use on my Mexican Christmas tree. These three will join the rest this year when I decorate. I especially love the turquoise one…I didn’t get one that color. 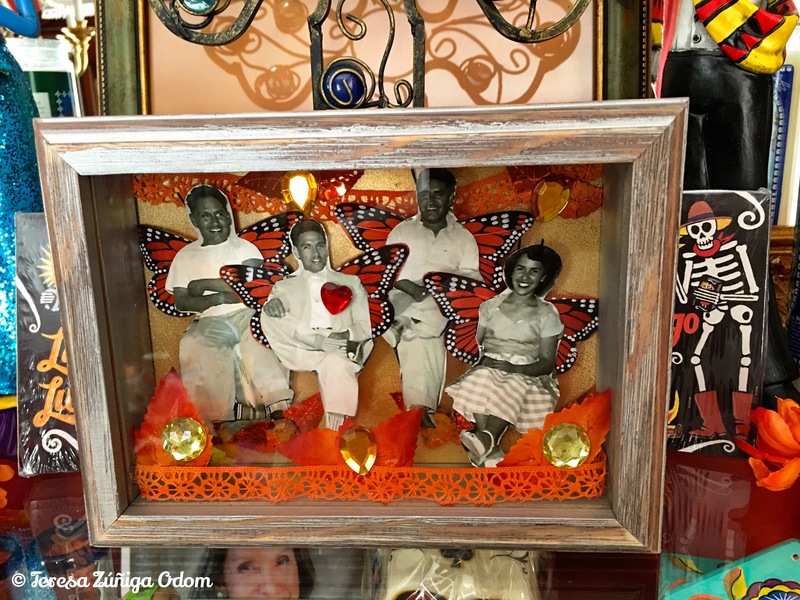 This entry was posted in Birthday, Mexican Art, Papel Picado, Sombreros and tagged Birthday Gifts, February, Mariachi sombreros, oilcloth vinyl tablecloth, Papel Picado, yellow bloom on February 21, 2016 by Southern Señora.